Establishment of ultra-high speed, pervasive, intelligent and trusted ICT infrastructure. 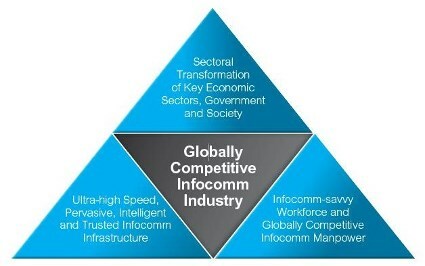 Development of a globally competitive ICT industry. Development an ICT-savvy workforce and globally competitive ICT manpower. Spearhead the transformation of nine key economic sectors of government and society through more sophisticated and innovative use of ICT. The iN2015 masterplan is a multi-agency effort, spanning key economic sectors, government and society, including (a) The Digital Media & Entertainment Sector, (b) Education and Learning, (c) Financial Services, (d) Healthcare and Biomedical Sciences, (e) Manufacturing and Logistics, (f) Tourism, Hospitality & Retail, (g) Land & Transport, (h) Government and (i) Society. IDA is also now collaborating with Singapore’s Urban Redevelopment Authority for the development of the smart area of ‘Jurong Lake District’ -a ‘living lab’ where over 1.000 sensors will be deployed to test a wide variety of solutions in a real life setting, focused on improving urban mobility, sustainability and situational awareness. In the prospect of the completion of the iN2015 program, IDA is already contemplating Singapore’s forthcoming ‘Smart Nation’ program. Mahizhnan, A. 1999. 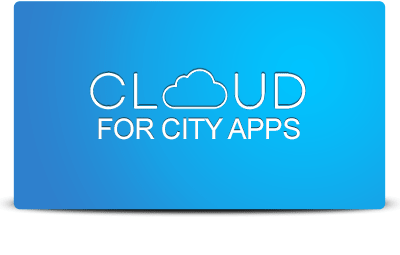 Smart Cities: The Singapore Case. Cities, 16, 13-18. Available here. Ng, P. T. 2011. Embracing Emerging Technologies: The Case of the Singapore Intelligent Nation 2015 Vision. Regional Innovation Systems and Sustainable Development: Emerging Technologies. Available here. Tan Ai Hua, M. 2012. Promises and Threats: iN2015 Masterplan to Pervasive Computing in Singapore. Science Technology Society, 17, 37-56. Available here.